This Cher meme has been all over Facebook the past few days & it makes me laugh whenever I see it! I tried researching the image and found a link on a Reddit feed from last year. Not sure if that's where it originated, but here's the link, just in case. 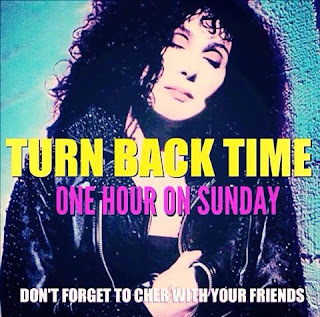 Daylight Savings Time officially begins on Sunday, November 1, at 2 a.m.